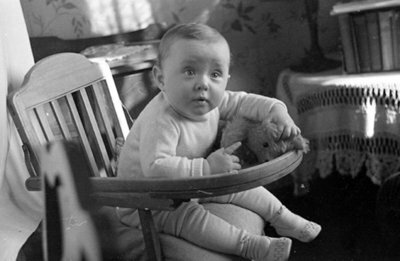 A black and white negative of a baby sitting in a highchair holding a teddy bear. The negative envelope refers to the baby as the Maguire baby. Maguire Baby, c.1931, Marjorie Ruddy. Whitby Archives A2013_040_016A.